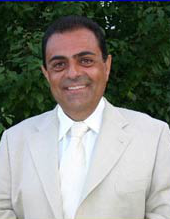 The Linguistic Lab (LL) initially started out as an English Language School by Labis Filis, a graduate of Indiana University in Economics & Business management. Upon his return home to the beautiful coastal area of Xylokastro-Greece the locals would bring their kids to Labis for help with their English language studies. After his army service, he officially established The Linguistic Lab in 1989 which soon became a very successful endeavor with 3 area brunches. Licensed – ISO 9001 – Registered, with personal care, native English-speaking certified teachers, inspiring classroom settings equipped with today’s technology, and involved in the community, LL has gained a special niche over the plethora of large language chains. Highly respected in its surroundings, the school runs year-round and incorporates a curriculum from Kindergarten to Proficiency levels. To further enhance the school’s mission (and due to Greece’s lack of an actual student exchange program), Labis launched the Home-Stay Program where English-speaking students stay with selected host families whose kids want to practice their English – a successful win-win awareness exchange! A spirit of progress and personal growth, Labis also sponsors awareness & outreach in the community by engaging guest-speakers on pertinent educational issues for both parents and kids (from children’s psychology to environmental practices, etc.). It suffices to say that The Linguistic Lab practices a positive awareness education that is beyond language. In retrospect, LL added the Greek Language & Culture Program fulfilling our Omogeneia’s inquiries – Greeks abroad who want [their kids] to enhance their Greek language and culture. With the school setting and the home-stay program running, we are honored to accommodate this special inquiry. The Omogeneia program is available year-round in either Home-stay or Group-guided arrangements (non-Greeks welcome). Easter in rural Greece is a spiritual & cultural wonder! This program is a heart-warming experience on both sides! Further, in lieu of parents’ inquiries, LL is now hosting an Adults Program for anyone wanting a local interaction in their travels, enhancing their experience and knowledge. This program is available year-round, only for groups. We are proud to celebrate Greek language & culture with you personally! We have appropriately named our “beyond language” programs: ARISTONAUTS – different by design! By mission, it’s not just a tour. It’s a vacation, it’s an education, it’s hands-on interactions, in a celebration of Greek language and culture – exploring the helix of time to develop knowledge–wisdom–truth. All programs include ground-transportations, accommodations, meals, site-tours, plus a multitude of things to do. All programs incorporate either language lessons by option, available to anyone. See pertinent pages for details. With Greece’s financial crisis there has never been a better time to visit. Come, explore with us – BE AN ARISTONAUT!!! Xylokastro is a small town, centrally located at the north shores of Peloponnese, with the Corinthian Gulf in front and the mountain lines behind it (see map). This ancient site of the Aristonauts* is today a serene rural area with farming, fishing and yet a very energizing Greek lifestyle. Conveniently close to several landmarked historical sites, it offers a vast variety of things to do, engaging all your senses!!! It will excite you, amaze you, inspire you, educate you, enrich you, captivate you. You will love it. But most importantly, you will develop awareness/wisdom, a live 3-D perspective into our interconnected world – globally & simultaneously into the ages – an inspiration for today’s informed global citizen. Our programs are unique in providing distinctive options for a truly personal interactive experience with the Greeks! 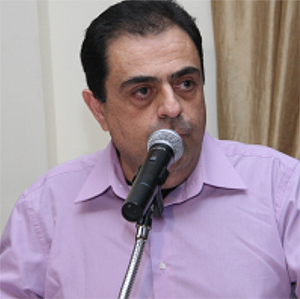 Labis Filis was born in Loutro, Corinthia. He finished his village school, and high school in Xylokastro. He studied in Indiana University. He is married to Evi Kellari and they have 2 beautiful sons! 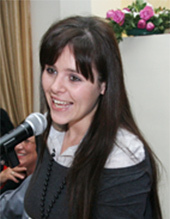 Evi Kellari was born in Pitsa, Corinthia, and she graduated from the high school of Xylokastro in 1999. She is a teacher and married to Labis Filis. Old student of Lin Lab! Anna Manolis is married, with a son and a daughter and lives in Xylokastro. 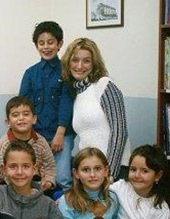 She has been working with us since 2002 as an English language teacher. An old student of Lin Lab! 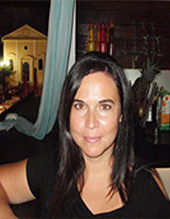 Dimitra Mantzouka was born and raised in Moschato, Attica, and also speaks English and French in addition to Greek. 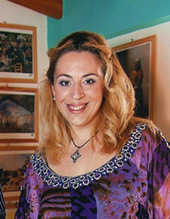 Angeliki Samanidou studied Psychology at the University of Athens and her Ph.D. work was research on Learning Difficulties. 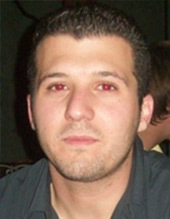 Vasilis Petropoulos was born and raised in Xylokastro, Corinth, where he now lives permanently. He teaches Greek & English. An old student of Lin Lab! 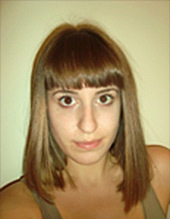 Varvara (Vera) Tzimas was born in November 1990 in Corinth and since then has been a resident of Xylokastro. Teaches English & Greek. 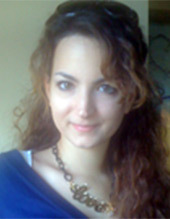 Eugenia Rigas was born in 17 August 1991 and is a resident of Xylokastro. Teaches English & Greek. 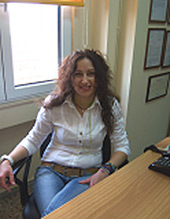 Efi Spanou is a secretary at the "Language Workshop" of Derveni. She was born in Lygia, Corinthia. Christina Charalambi was born and raised in Lygia Corinthia, where she still lives. She is married with a son. Linguistic Lab have been providing English and Greek language lessons at their language centre in Xylokastro since 1989, and in that time have helped hundreds of students from Greece and all over the world.